Scientists believe there were once two types of early living humans in Europe, Neandertals and Cro Magnons. They believe we’re descended from Cro Magnons, while, about 30,000 years ago, Neandertals disappeared. Still, scientists wonder did Neandertals pass on any of their genes by mating with our ancestors? John Relethford: I think that they formed a small portion of our ancestry, but I honestly don’t know for sure and I’d like to have a final answer for that. John Relethford is a biological anthropologist at the State University of New York in Oneonta. 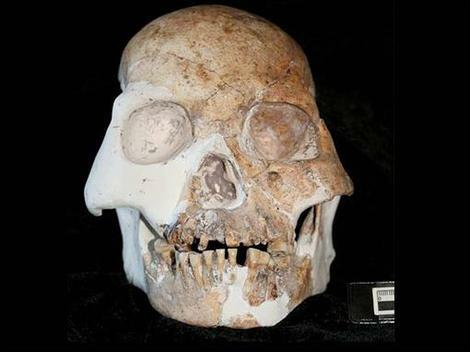 In the 1990s, scientists compared DNA from Neandertal fossils with DNA from living humans. They found that DNA from European Neandertals is just as different from that of modern Europeans as it is from people the world over. They expected more of a relationship there, so they reasoned none of our ancestors were Neandertals. But in 2001, Relethford showed that given enough time, Neandertal genes could have spread through our species, regional differences might have blurred. He hopes someone will find DNA from Cro Magnons thought to be our ancestors. That would make it easier to reconstruct how we all relate. Relethford says if we could find DNA from the early living humans thought to be our ancestors ,Cro Magnons it might help settle the debate by making it easier to reconstruct how we all relate. But, he warns, if the Cro Magnons were too similar to us, it may be hard to prove that the samples are really ancient DNA and not contamination from modern living humans DNA. Living humans are descendants of the Cro Magnons, but scientists wonder, did they ever mate with Neandertals? In other words, were Neandertals also our ancestors? Basically, most of my research deals with looking at genetics and living humans history. Specifically what we try to do is to look at genetics in living humans how populations and individuals are similar and different to one another genetically and then try to make sense of that in terms of history to figure out the origin of different groups, what groups have had contact with each other in the past, has there been a genetic imprint due to colonization or migration or invasion. Typically, some of these areas that people look at, such as myself, include things such as the origins of the first Americans, the first Native Americans, the spread of farming across Europe, the genetic history of the Polynesians you know different areas of the world, trying to make sense of the relationship between genetics and history, in other words, looking for our roots, looking for common ancestors, trying to figure out basically where we’re all from, how we’re all related and how we got here. What I’m doing doesn’t replace the fossils, it compliments it by saying whatever we are today genetically, that’s a reflection of our heritage, of our past and can we try to figure out some of these answers by looking at what we are today? And in truth, it’s a lot more complicated than that it’s not a straightforward research question but it’s one that I’ve always found fascinating, you know using genetics as a time machine. You know. Whatever happened in the past, we’ve lost touch with it. We don’t have written records going back that far. Oral history doesn’t go back that far it gets distorted over time. But whatever happened in the past presumably could have made an impact on our genes, so maybe, just maybe, if we’re clever enough, we can look at genetics today and backtrack – how did we get here? What are the big questions you’d like answered? Well, probably one of the biggest questions I’d like to know is whether or not to what extent the Neandertals in Europe contributed to our ancestry today as modern living humans. Of all they’re rather different in many ways both in terms of their physical appearance and their DNA. I don’t my best conclusion at this time is that they weren’t completely separate. I think that they formed a small portion of our ancestry, but I honestly don’t know for sure and I’d like to have a final answer for that. How are you trying to solve that problem? Well, I’m starting to work on things a little bit differently. I’m trying to bridge the gap between two areas one area being paleontology, which is looking at the fossils and the another area which is looking at genetics. And my main interest in genetics is what we call population genetics, which is essentially mathematical models of how genes change over time. And I’m interested in developing models through basic mathematical modeling and computer simulation answering the question what would happen if sort of like these “what if…” projections that businesses use to try to figure out what impact a new product might have or something along those lines. So I’m sort of doing what if projections, saying if the following things happened, what would the fossil record look like? In other words, I think people working in genetics a lot have tended to ignore that we have the fossil evidence and we have to consider that. I’m interested in developing better ways of making sense out of the fossil record. In other words, under this situation, we’re going to see the following pattern. Under this model, we’d see a different pattern. In other words, develop a framework for interpreting the fossils. I mean they fascinate me, I don’t dig them up, I don’t deal with them in a laboratory. You know, I follow the literature I look at them and I want to make sense of them, as we all do. And I’m trying to develop a different approach by saying, what happened in the past, under different scenarios, what should the fossils look like? And then take a look and see if it works. So you make alternate models and see which ones produce the kind of fossil record we actually see? No. Not really, it’s more a matter of looking beyond what’s intuitively obvious. in other words, looking at all the possibilities, can we differentiate between different ideas. It would be like if you see two similar fossils in two different places that look similar, is that because they have similar common ancestry, is it because the groups have been in contact with each other sharing genes … they’ve adapted in a similar way to the same kind of environment? In other words, my interest is in developing models of evolutionary theory. … Trying to nail that down a little bit better, trying to figure out what we should be seeing. 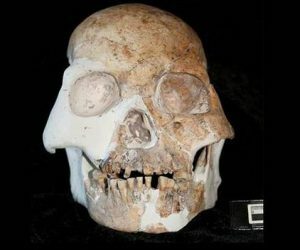 Tell why you think the conclusion that other researchers drew from comparing Neandertal DNA to modern living humans DNA might be wrong. Now what I pointed out was that that may very well be completely true, I don’t know. I pointed out, however, if you follow a model where you have a little bit of movement of people back and forth, given enough time since when the Neandertals were around to today, there would be enough mixing so that you wouldn’t be able to see any closer relationship with Europeans than anywhere else. In other words, I could get to the same point with a completely different model. That’s been sort of my contribution to show that there are alternative ways of explaining it. That’s apparently been useful, but it’s apparently not as useful as coming up with a way to figure out what the answer is. All I’ve been able to show is hold on it’s not that simple. It may be A or it may be B. I’d really like to figure out a way to say it’s definitely A or B. But so far, I’m just able to say, well, it could be either. And a lot of my work has sort of been that way. You know, what can you say? I think it just opens people’s eyes to the fact that the first and most obvious conclusion may not be the only one. So a lot of times you want to predict under different conditions what is it that you are going to see. And if you wind up in the same place with different models you can’t tell them apart, you can’t choose between them. So maybe it’s time to maybe change the model or change the methods or come up with a technique so far I haven’t been able to do that, but I keep trying.